Carol Ann Jones chats with an audience member after a Power of Music performance. John was nearing the end of his life, no longer able to speak, when Carol Ann Jones brought her guitar to his bedside at a Vermont nursing home for another visit. She began to strum one of his favorite songs, Me and Bobby McGee. John’s brothers were there, and one joined in with his harmonica. Everyone sang. John’s eyes opened wide. Not long after, John died on Thanksgiving weekend. His wife called to thank Carol Ann for all her musical visits to his bedside. She attended his funeral. The experience inspired her to write his story in a new journal—the first of many stories of the hospice patients she played for at Saint Albans Healthcare and Rehabilitation Center. By the time the journal was full, she had written about more than 180 people’s end-of-life journeys. An award-winning recreation assistant at Saint Albans who loves to play her guitar and sing for the residents, Carol Ann also helped to launch the 85-bed care community’s Music & Memory program. She creates and updates personalized playlists for people in the memory care unit and runs bake sales and other fundraisers that have enabled Saint Albans to acquire 15 digital music devices. Inspired by a screening of Alive Inside, she volunteers her time for administering the program, in addition to her part-time paid work in recreation therapy. Now Carol Ann has put her love of playing live music for residents and her experiences with hospice patients toward a new musical endeavor to raise money for Music & Memory and spread awareness of the personalized music program throughout Vermont. Inspired by a friend who loved the stories in her journal, she decided to write a one woman play based on 12 of the most interesting people she had met and sang for. “The story of John is the first one,” she says. “Then I play a couple of his favorites, Bobby McGee and Red River Valley. Then I go on to the next one, a very different story and music. There’s a wide variety.” At each performance, she includes a display of literature about Music & Memory and Alzheimer’s, as well as a box to collect digital music devices. After her debut in Saint Albans last July, people encouraged her to take her show on the road. “I’m going to do every county in Vermont,” says Carol Ann, thanks to a $5,000 donation to Music & Memory from an enthusiastic member of the Saint Albans audience. At each stop, she makes a point to connect with the local home hospice agency and collect digital music devices for the nearest MUSIC & MEMORY® Certified Care Organization. In addition to her Music & Memory road show, Carol Ann performs folksong singalongs at care communities around the state, as well her own show at area coffee houses. She also runs half marathons. A former accountant, she keeps the books for the family dairy farm. Even as the competitive organic milk market forced Carol Ann and her husband to make tough decisions about selling their dairy herd last June, she credits her husband with encouraging her to stick with her music. Founded in 2010, MUSIC & MEMORY® is a non-profit organization that brings personalized music into the lives of people with cognitive or physical conditions through digital music technology, vastly improving quality of life. Music can heal in many ways. 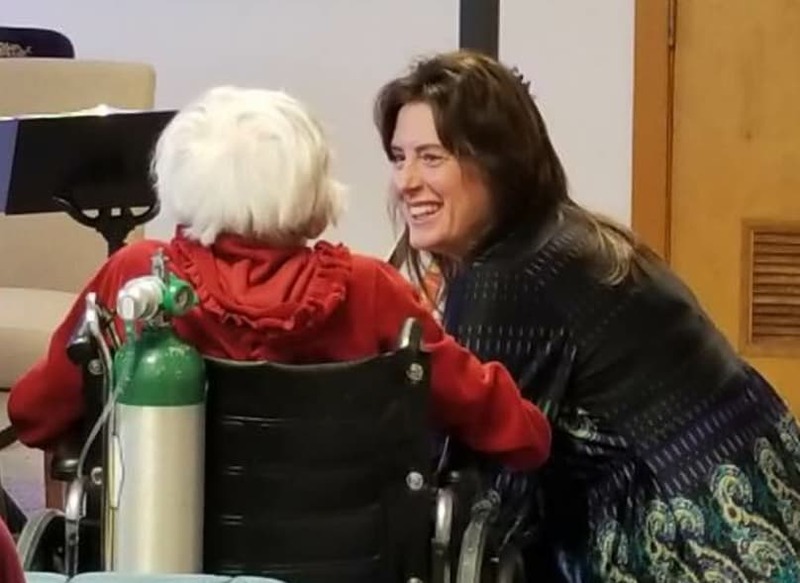 At Barnabas Health’s Hospice and Palliative Care Center in West Orange, N.J., musical favorites have brought joy and inspiration to residents nearing the end of life. Hospices are among the most recent additions to the Music & Memory family. Settings vary from dedicated hospice facilities to hospice services within nursing homes to hospice care in private homes. 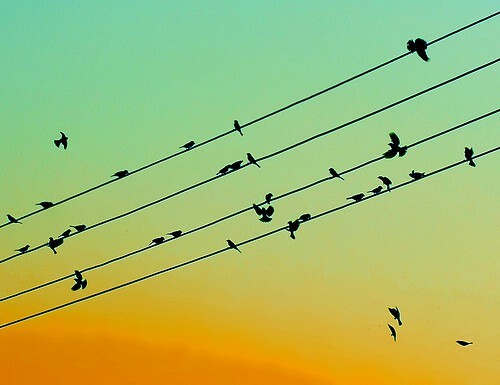 Whatever the organizational structure, all share a common experience: Favorite music makes a world of difference for residents, their families and the professionals who care for them. Even for young children, sharing music and helping to identify musical favorites can be a meaningful way to stay connected with a loved one at the end of life. According to hospice professionals at MUSIC & MEMORY® Certified Care Facilities, speaking on a recent conference call about best practices, kids enjoy sharing the gift of music with their grandparents, especially when they can meet in a private room and listen to songs together. Reports from home-based hospice care are also enthusiastic. Conference call participants noted positive feedback from caregivers and family members, who appreciate how the personalized playlists bring joy back to their loved ones while also giving the caregivers a much needed daily respite. Leadership buy-in to Music & Memory is always a crucial aspect of creating a successful program, whatever the care setting. Deirdre Downes says her facility was able to get significant funding by sharing stories with board members about how personalized music has benefited residents. “Our board really responded to the Henry video and stories,” she says. Social work student interns shared videos that they had made of residents and stories about how the program was implemented. “Our Development Department has taught us that when you get a gift from the board, go back, say ‘thank you’ and tell them how you’re using it,” says Downes. That approach garnered a five-figure gift from a board member that will enabled the facility to purchase iPods for all residents as well as hire part-time help to set up the program.